Summary: Could it be that the Bible is correct when it says that Earth is the center of the universe? In his useful little book Better Thinking and Reasoning, Ron Tagliapietra gives a good introduction to how one should approach evidence and draw reasonable conclusions. But he unwittingly gives an even better example of how one can be completely misled by starting with erroneous information to reason about. There are two topics in particular, dear to the hearts of secular humanist scientists, which have been used repeatedly to "refute" the Bible—topics on which it is difficult to find genuine, unbiased, undistorted information. Unfortunately most Christians have not taken the trouble to search out the truth in either case, possibly because they have never realized they had been fed red herrings instead of real meat. The prime example is, of course, evolution, which was no more than a dubious hypothesis when Darwin popularized it. It has needed to be repeatedly propped up by half-truths, fraud and self-deception—as peddled by Ernst Haeckel, Teilhard de Chardin, Henry Fairfield Osborne, and numerous others—to maintain that status. It is being supported today by refusal to face hard facts of well established science such as the second law of thermodynamics, of informatics, and astounding findings of microbiology. Such difficulties are brushed over with red herrings. A favorite these days is variation within a kind; that is, dark or light peppered moths, fish with this or that color gills, or change in allele ratios. Variation within a kind has little or nothing to do with evolution in the sense that we are led to think of—the progress of molecules to men. It also has nothing to do with what the Bible tells us—creatures are to reproduce "after their kind," while little is said about how much variation is possible within each kind. Evolution, in the sense that we are supposed to accept, teaches reproduction from one kind to another, which is a process totally unknown to science. Copernicus is credited with the heliocentric theory. He proposed that the sun is the center of the solar system. 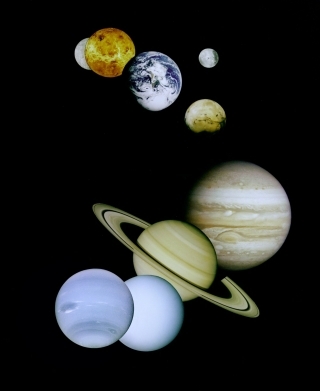 Now the solar system is a recent concept which Copernicus never mentioned. Neither did Galileo, Ptolemy, or any of the other players in the drama. The solar system is irrelevant to the discussion. The Bible makes no mention of the solar system. It is a concept which could only be proposed once Newton's theory of gravity made such an idea possible. 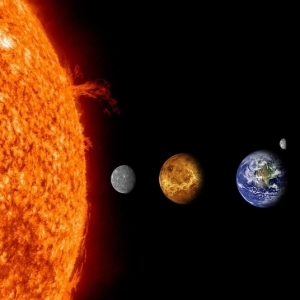 The solar system can be thought about, but never actually isolated. One can write equations about it, but nothing absolute can be verified about their conclusions. One can make models of it, but they are deficient models, they ignore the vastly more massive and gravitationally important remainder of the universe. Biblically it is foolish to talk about the "solar system" as any kind of reality since we know that Jesus is "upholding all things by the word of his power" (Hebrews 1:3). To examine the solar system and see how it would work on its own we would have to take that part of creation out of his hands. From a purely "scientific" point of view it might well collapse if it could be removed from the surrounding universe. One can, however, convince oneself quite easily that in a purely hypothetical mathematical model of the solar system (where the rest of the universe is of necessity ignored completely) the sun would be at its center and the rest of the system, the earth included, would revolve around it. Why is the irrelevant solar system sneaked in to the Copernican discussion at all? Copernicus held that the sun was the center of the entire universe, as did Galileo and the rest of the protagonists. Scientists assuredly do not believe that today. To admit that the heroes of the fight against Biblical inerrancy were wrong would not be good for the cause. The competing geocentric (or Ptolemaic) theory that the earth is the centre of the solar system. Now not only was Ptolemy concerned with the entire universe (not the solar system), but his system is not, as implied, the one and only model for geocentricity. Several have been proposed, some have never been refuted. It was Aristotle's model which Galileo sought successfully to refute, it was Tycho Brahe's against which Galileo was called to defend the Copernican. Galileo was unsuccessful, he could not demonstrate any fatal flaw in Brahe’s model, nor superiority in that of Copernicus. Two further deceptions about Ptolemy’s method are found in the rest of the discussion. First, Copernicus’ model was neither more accurate, nor less complicated than Ptolemy’s. Copernicus had to use considerably more epicycles than Ptolemy. What those who would pull the wool over our eyes do is to compare an early version of Ptolemy’s method of calculation not against that of Copernicus, but against that of Kepler and Newton after improvement by many years of research and refinement. Second, Ptolemy and his epicycles are not the primitive and outdated objects of fun the humanists would have us believe. The most convenient means of calculating planetary positions today is still Ptolemy’s, though his method has been modernized into "Fourier analysis", and his "epicycles" are now "terms in an infinite series." The most improved versions of Kepler’s method are still not superior in accuracy and convenience. Now most Christians, Ron Tagliapietra included, are side-tracked by the red herring of the solar system (where the earth clearly cannot be stationary at the center), fail to look any further, assume that the geocentric position is utterly untenable, and search for ways to "excuse" the Bible for its "mistaken" stand and interpret it to say something different. To the Bible-believers of Copernicus’s day there was simply no doubt about the Bible’s geocentricity. Copernicus said, "surely it is more reasonable to assume that the earth rotates once each day than that the entire universe rotates around it." Calvin countered with, "The heavens revolve daily; immense as is their fabric, and inconceivable the rapidity of their revolutions" (commentary to Psalm 93:1) in deliberate scripture-based contradiction. Luther, speaking of Copernicus’s idea said, "Even in these things which are thrown into disorder I believe the Holy Scriptures." Galileo was so confident that the Bible puts the earth stationary at the centre of the universe that to disregard it he had to say, "In matters concerning the natural sciences Holy Writ must occupy the last place." Why were they so certain of the Bible’s stand? Well, for one thing, Genesis 1 tells us that God created the unformed watery waste of the earth on the first day. On day two He separated the waters above from the waters below by an expanse called the "firmament," and on the fourth day He set the sun moon and stars in this firmament. Where is the possibility for the day-one-created earth to be circling around the day-four-created sun? 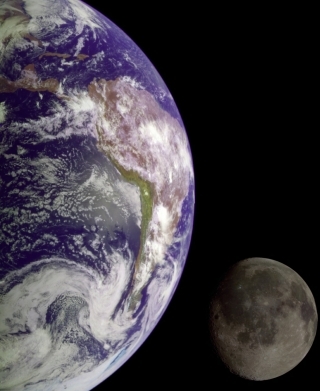 And why should the Bible say, "He...hangeth the earth upon nothing" (Job 26:7), if in fact the earth is not hanging on nothing, but whirling around at a hundred thousand kilometres per hour on the end of a gravitational cord of billions of tons of attraction from the sun? And again Psalm 19 says of the sun, he "rejoiceth as a strong man to run a race. His going forth is from the end of the heaven, and his circuit unto the ends of it." This gives the sun a circuit round which to run, not the earth. It is fairly clear why the Bible believers of the era saw Copernicus, Galileo, and their heliocentric theory as a challenge to Biblical authority. What is not so clear, until one looks a little deeper, is why today’s supporters of heliocentricity have to resort to red herrings and an avoidance of the truth. Unfortunately for their case many experiments were performed specifically to demonstrate and measure the motion of the earth around the sun. The data were almost unbelievable. there was only one other possible conclusion to draw, that the earth was at rest. This, of course, was preposterous. As "preposterous" as the measurements of Arago, Trouton and Noble, Airy, Thorndyke and Kennedy, Theodore de Coudres, and several others. They also found the earth to have a zero velocity through space. Nor can you prove it by observations. As with every Biblical question it is a case of "the just shall live by faith" (Romans 1:17). To disbelieve the Bible’s geocentric stand takes just as much faith as to accept it—it cannot be disproved by any known observation. The only way to know for certain would be to stand on some fixed point outside the universe and look in. Unfortunately none of us is able to do that. But we may chose to believe the testimony of the One who can. Read our article: Is Compromise Possible? This article by Dr. Philip Stott can be found at reformation.edu. Click here for additional writings by Dr. Stott, or click here to purchase his book Vital Questions from Reformation Media. i. George Ellis, "Thinking Globally, Acting Universally", Scientific American (October 1995).